A high quality material used in the preparation of mattresses, best memory foam mattress toppers, and pillows, memory foam is essentially a polyurethane material that comprises of extra chemicals to enhance the viscosity and density. 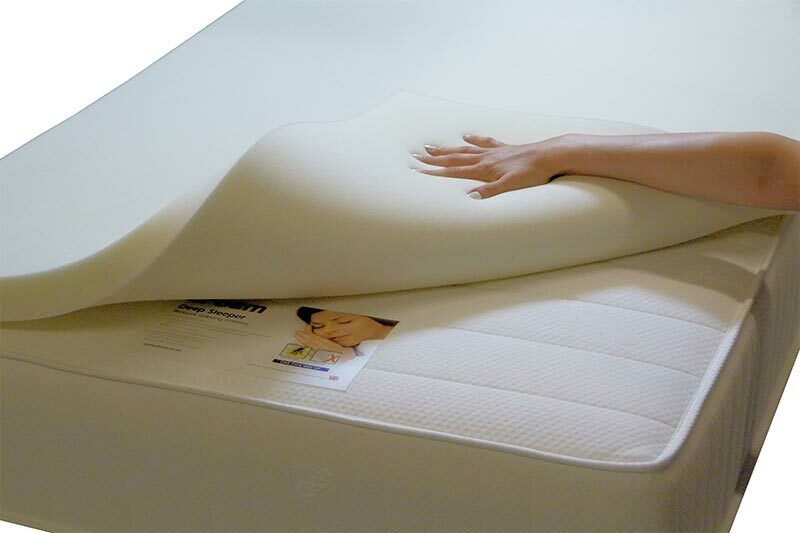 Memory foam tends to soften up when brought in close contact with the heat of the body. As a result it wraps around a warm body and gives it a greater degree of comfort. Upon removal of weight, it recovers to the original shape with the recovery process being a very quick one. This is one of the main reasons why memory foam is highly rated as a bedding material. However, when it comes to cutting or shaping memory foam it can be a very challenging process. With the right kind of equipment your disposal, you can overcome this challenge and go about cutting memory foam down to the required size. One of the most common issues faced when it comes to cutting memory foam is that it does not give you a clean edge. Being too aggressive with the right tool or starting out with the wrong tool altogether contributes towards the foam becoming rough and jagged along the edges. You should use the right tool with care to ensure a smooth and clean cut for your memory foam. A carving knife comes with a serrated blade compared to those knives that have a smooth blade on them. There are tiny points on these serrated tips which are crucial to providing a straight, clean cut on the memory foam. With the help of gentle, short back and forth motions you can saw through the foam. It is important to ensure that the foam is not compressed. An electric knife that is commonly available is another option. This too comes with a serrated blade similar to what you get in a carving knife. This is especially useful if you are cutting foam with the help of a template. The edge could be your guide as you slide the knife along the template to get the cut. Craft knives or utility knives are surgically sharp and this makes them a good choice for cutting memory foam. The secret to using this equipment lies in making a number of easy passes over the memory foam material. Rather than sawing through the foam – something you would usually do while using a serrated blade – start by making a shallow cut-line before eventually deepening it till you finally manage to cut through the foam. You can make use of heavy-duty scissors for cutting thinner quality memory foam. Short chops are helpful in getting the right kind of cut especially when you are using the part of the blades that meet near the handles. Apart from the usual knives and cutters, there are a number of other tools that you can use for cutting and shaping memory foam – marking pens, straightedge, Drywall square. All of these will help you in getting lines to give an accurate cut to your memory foam. These are ideal for cutting long and straight pieces of foam. Take the necessary measurements and place the implement on the foam to square it up. Keep your knees on top so that the square remains steady. The side of the square will act as your guide with a utility knife running along the edge to give you a nice, clean cut. An alternative to a conventional Drywall square would be a chunk of plywood with straight edges. You can use it in a manner similar to that of a Drywall square set. Large pieces of memory foam have sufficient magnitude of friction that helps in keeping the object in place when you are cutting it. When dealing with smaller pieces, it is recommended that you have some heavy object placed along the edge or clamp it down if necessary. This will prevent your cut from going awry. It is important that the memory foam is kept on a hard surface with the cutting edges hanging out of the surface. Hold it in place with one hand and have your cutter in the other to cut the foam along the required lines and surfaces. Also if you are using an electric knife ensure that your fingers or the electrical cord is kept away from the cutting blade. You also need to be in a comfortable position before starting to use a cutter for cutting memory foam. Last but not the least you need to be cautious with everything while cutting the memory foam because all of it can prove to be very lethal.